On this blog I talked a bit about Cloud Atlas, the novel by David Mitchell, and I anticipated the film, released last week. I was dismayed to find that the film makes use of "yellowface", using cosmetics to make white actors appear Asian. This has been criticized by Jezebel and the Media Action Network for Asian Americans. I should say that I very much liked the film, though not quite as much as the novel. It's an epic that connects six different stories from 1849 to after the apocalypse. It's the sort of complicated movie I wish were more marketable to the public (but it was a flop). Nonetheless, I believe in disconnecting how much I liked the movie from recognizing the problems with the movie. I should not feel like I have to defend the movie just because I liked it. The top left character is one of the major characters of the future Korea story. The other two are minor characters. The wiki claims that the lower one, who must have appeared for all of one second in a three hour film, is played by actress Halle Berry. Frankly I'm not sure I believe that one. I think the top two look like Vulcans. It was actually really distracting when I watched the film, even aside from whatever problems of race. I get the sense that the make-up artists are among those people who can't tell Asians apart, and therefore can't tell an unconvincing Asian when they see one. Not that there's anything wrong with having trouble distinguishing Asian faces, but surely it should be a required skill in this particular job? There are some potential mitigating factors (which I am about to explain are not very mitigating). The main protagonist of the Korea story is played by the Korean actress Doona Bae. And throughout the movie, actors are switching races and genders all the time. For example, Doona Bae plays a white woman (in 1849), and a mexican woman (in 1975). Halle Berry, besides playing the above character, plays a Jewish woman (in 1931), cameos as an Indian woman (in 2012), and plays a protagonist who happened to be Latina in the book. Doona Bae as Sonmi-451. Taken from the wiki. But it's not a symmetric situation. Asian actors and characters are frequently excluded or sidelined in American film. Here you have a story that calls for and demands Asian actors, but they still cast one of the two major characters as a white actor. And originally, Doona Bae's role was promised to Natalie Portman. WTF. Would it have been so hard to cast the two main characters with Asian actors, and give those actors minor parts in the other stories? Before I heard anything about the movie, I publicly said I was looking forward to the multiracial cast, so you know I'm disappointed. Or alternatively, if it's really so hard to find good Asian actors, they could have just left the actors white. They may be living in future Seoul, but surely future Seoul also has ethnic minorities who are culturally Korean and take on Koreanized names? I noticed that in the post-apocalyptic story, they briefly show a bunch of people who were dark-skinned in the novel, but in the movie they didn't bother giving the actors blackface. The dark skin is thematically important because it's supposed to show a racial role reversal from 1849--the technological civilization is made of dark-skinned people while the native islanders are light-skinned. But the movie quite reasonably decided not to show this because that would require giving actors blackface. But for some reason, it's okay to give actors yellowface even when there is no major theme hinging on their being ethnically Asian. Lastly, I do not think it is coincidence that they cast an Asian woman but not an Asian man. I note that IMDB mentions three other Asian actresses with minor parts, but no men. For some reason Asian women are more sexualized and thus more appealing to American audiences. So there's that annoying gender dimension as well. Mike Le argues that it is problematic because it puts "a megaphone to the lips of an A-list actor so he can announce “chink” before an audience of millions." As I understand it, he means that white actors are free to enact Asian stereotypes and exert excessive control over the public image of Asian Americans. I agree that this is a problem in general, but in this case I'm not sure what particular stereotypes they were enacting aside from the stereotypical appearance depicted by the terrible make-up job. So I disagree with Mike on this particular point. 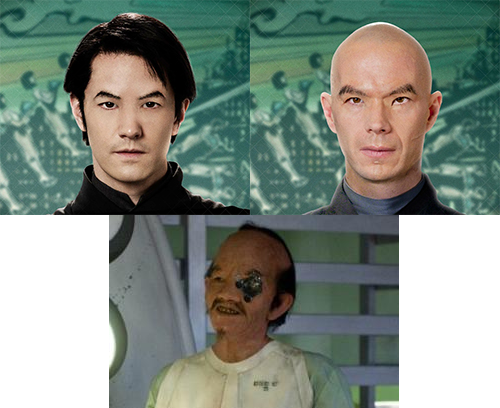 In summary, Cloud Atlas used a white actor to portray a major Korean character, using a distractingly bad make-up job. But the main problem is that they continued the practice of excluding Asian actors from American film, this time even when the script demands Asian actors. If they could not find Asian actors, they should have left the characters white, just as they left white actors white when they played canonically dark-skinned characters. I also find it disturbing that they cast several Asian women, but no Asian men. All in all, this diminished my enjoyment of the film. I wouldn't blame the makeup artists. They didn't cast the actors, and I think it's impossible to give a convincing makeup job that makes someone look like a different race. Well it's true that Doona Bae wasn't very convincing as a white woman either. It's easier to give Doona Bae a big nose than to give Hugo Weaving a small nose! :). Maybe they could have made his nose look smaller by giving him a big face mask to make his head bigger. And they could have made Doona Bae deeper set eyes by giving her a face mask. But the mask on Hugo Weaving would have given him even deeper set eyes, so then he would need fake eyes on the mask. Then they would really look like aliens from outer space! At least Hollywood is very good at making humans look exactly like the real Vulcans and Klingons. All joking aside, I know the quality of the makeup job is not the real issue. Just a correction, there is a brief moment in the post-apocolyptic story, at the end when Zachry and his niece are on the Prescients' ship, where you can see other Prescients, and they are all black actors. I've never read the book, so I had no real preconceptions about any character's race. When I watched the movie I had assumed that Jim Sturgess's character, Hae Joo was a sort of futuristic blend of many different races, with the stereotypical foldless eyelid representing the mix of Asian in there. In my head this made sense to me because the story was far in the future, and currently Asians make up such a huge percentage of the world's population. Additionally, this idea was enforced when I saw the one black character in that timeline (I think it was Keith David) because it looked like he had the foldless eyelids as well. Of course, this is all a completely different story if Hugo Weaving and Jim Sturgess were actually meant to play Korean characters. 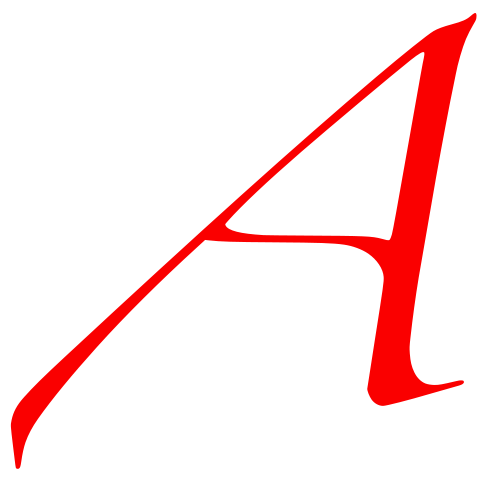 It's not true that all the prescients are played by black actors. According to IMDb, at least Jim Broadbent and Robert Fyfe played prescients. It's possible that I remember incorrectly, and they were portrayed as dark-skinned. Does physics make you less religious? How well did Nate Silver do?